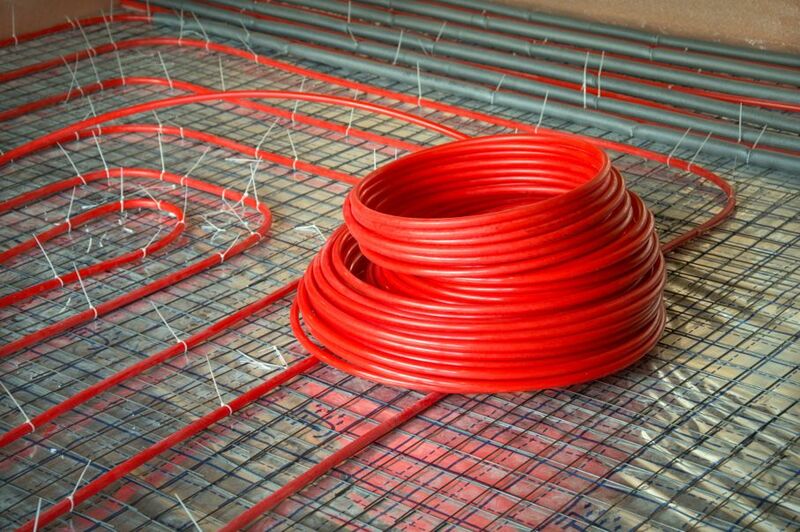 Considering a radiant heating system for your home? Here are some pros and cons to think about before committing to it. It may seem daunting at first, but with new technologies, many options for your home only need to be plugged into a socket. This means you can lay heated floors without having to rewire any of the home’s electrical grids. 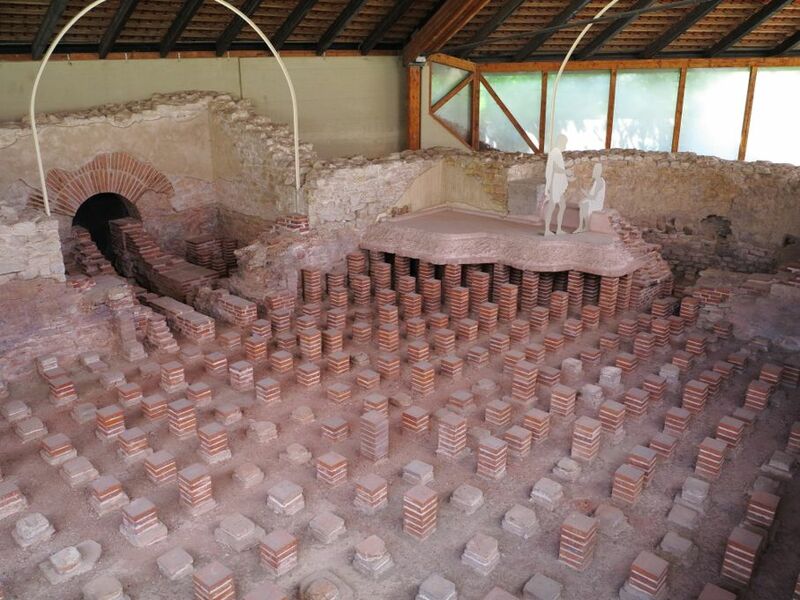 The concept of heated floors dates back to ancient Rome. In aristocratic houses, slaves would fan wood-burning fires beneath marble floors to keep the tiles warm in the winter. These techniques fell out of favor in the 18th and 19th centuries when it was discovered that fumes leaking through the floors caused carbon monoxide poisoning. The 19th century introduced a water boiling-based heating system- the forerunner to today’s hydronic systems. The electric was born, of course, with the advent of accessible electricity after Thomas Edison’s fateful invention. 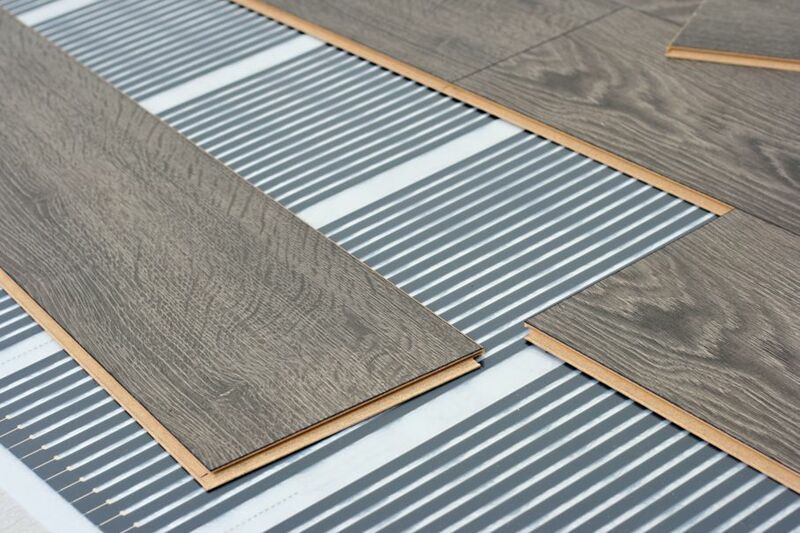 This option utilizes electric wires installed under the floor’s surface. 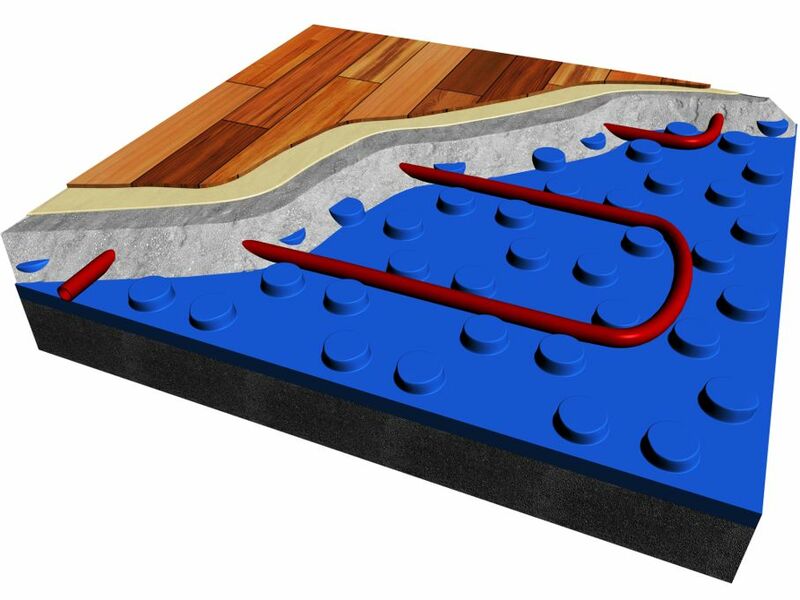 Cables or mats made of conductive plastic are placed under the floor to spread and maximize the electric heat. This option involves the installation of water tubes underneath the floor’s surface. Water from a boiler or hot water heater is pumped through the tubes to transport heat across the floors. The kind of radiant heating system you choose will depend on whether you’re adding the feature later on or doing an extensive remodel. Electric Radiant Flooring can be incorporated into most remodels easily. Bathrooms, kitchens, and foyers are perfect candidates for electric flooring enhancement. Hydronic systems need to be installed during a substantial construction remodel. Installation of Hydronic Radiant Flooring requires you to rip out current flooring to install new pipes. The installation can even involve the addition of a boiler. 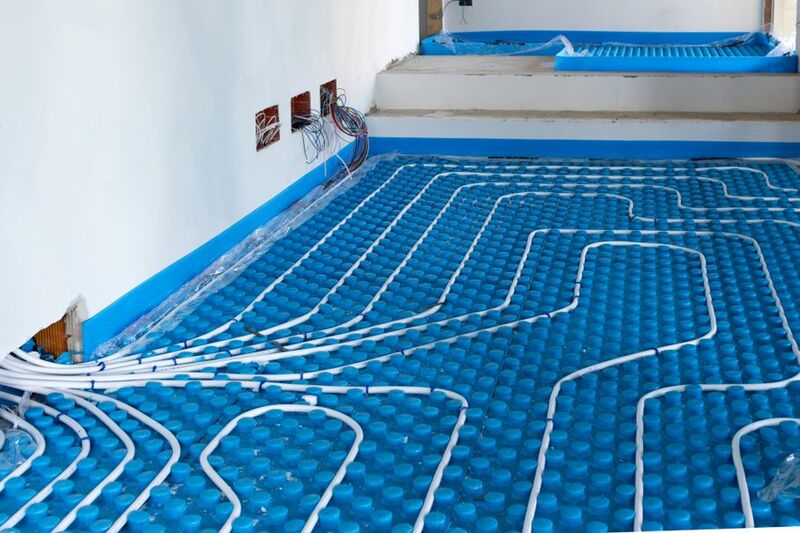 Radiant heating systems work with most floors. Because wood floors are already quite warm and breathe well, they may seem a natural first choice. Wood does expand and shrink with temperature changes, so you’ll need to hire a wood floor installer who is experienced. They should be aware of this possible issue when installing your radiant heating system. Stone, ceramic tile, and concrete all offer efficient thermal-conduction and can endure high temperatures without changing structure or surface area. If considering laminate or vinyl, keep in mind these materials have temperature limitations, so you’ll need to know exactly how it will respond before installing. Carpeting will withstand most temperature shifts, but it is an insulator. This quality could trap the rising heat, sandwiching it between carpet and floor before it reaches the room. There are a couple of options to prevent this. Use small area rugs for décor and a cozy atmosphere. The heat can escape into the room around them. For a more complex option, install heating loops underneath your large carpets to send up higher amounts of warmth in those areas. Never forget about budgeting when you undertake a remodel. 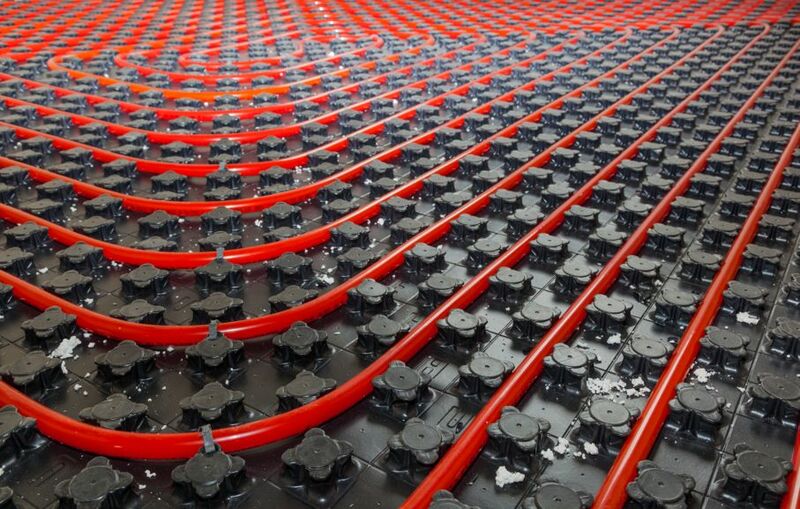 Electric radiant heating systems are more affordable to install, but energy bills will be substantial in the long-term. One medium-sized room may add approximately $2,000-2,500 to your monthly bill. However, if you aren’t investing in a big remodel, this option may be wise. It requires the least amount of changes to your flooring. 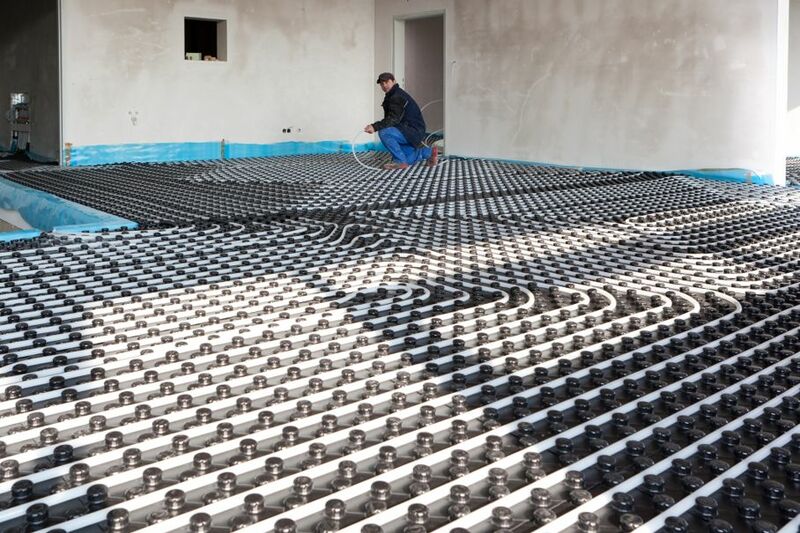 Hydronic radiant heating is far more complex to install, but the system’s energy-efficiency pays off over time, particularly if you are heating multiple rooms. You can expect to pay around $12,000 for a whole-house installation. If your home already has a boiler, the cost will go down to approximately $9,000. While these prices seem profoundly higher than the cost of electric radiant heating, the maintenance will balance out in a little under a year. Heated flooring is a smart installation in a new home and will maximize the future value of your house. Hire an expert team to assess and install, or add it in on your own with prefab kits. These kits use smaller mats that can be easily installed in small spaces. Prefab kits are a nice, simple upgrade option if you are only re-doing the floors in one or two rooms.